All good ! Thank you ! Good product! Fast shipping! Excellent customer service! Thanks you! Good deal at a good price. 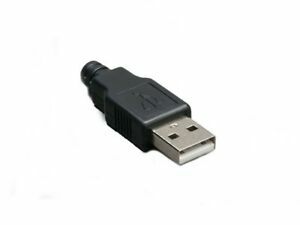 Simple USB, solder connectors at a bargain price. Speaker Joe even threw 3 USB females as well, you cannot beat this deal! Thank You Joe. Needed to replace a USB connector on a headphone. I like keeping a couple extra connectors but didn't want to order 10 connectors. The three pack was a perfect size and the price was fair. I did my repair and it works like a charm. Easy enough to use. Just plug it in and voila!